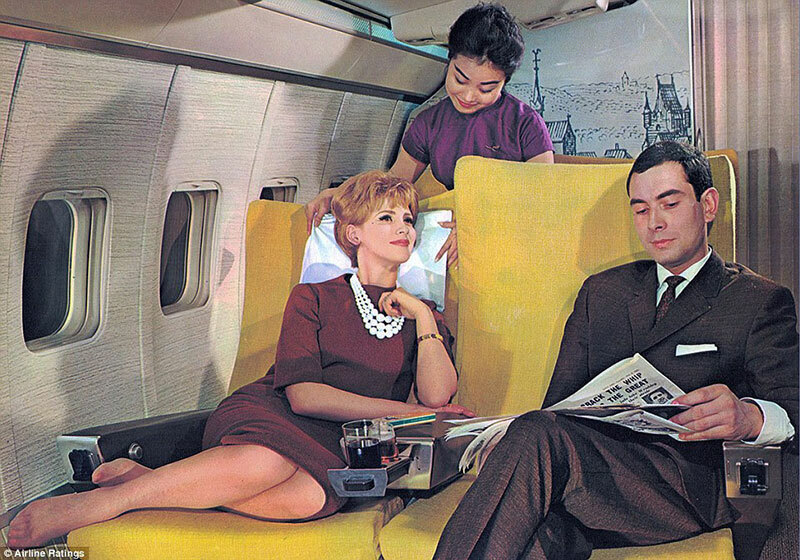 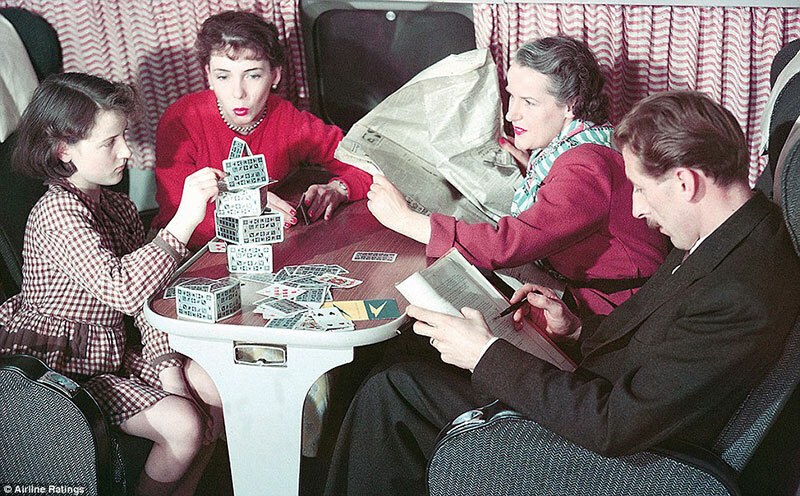 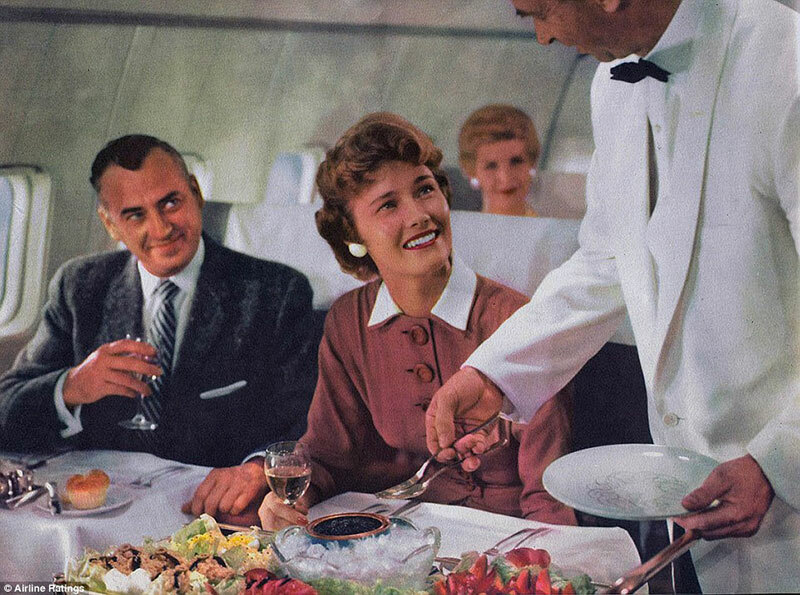 Vintage photographs shot in the 1950s and 60s that reveal the rarely seen luxuries during the Golden Age of Flying. 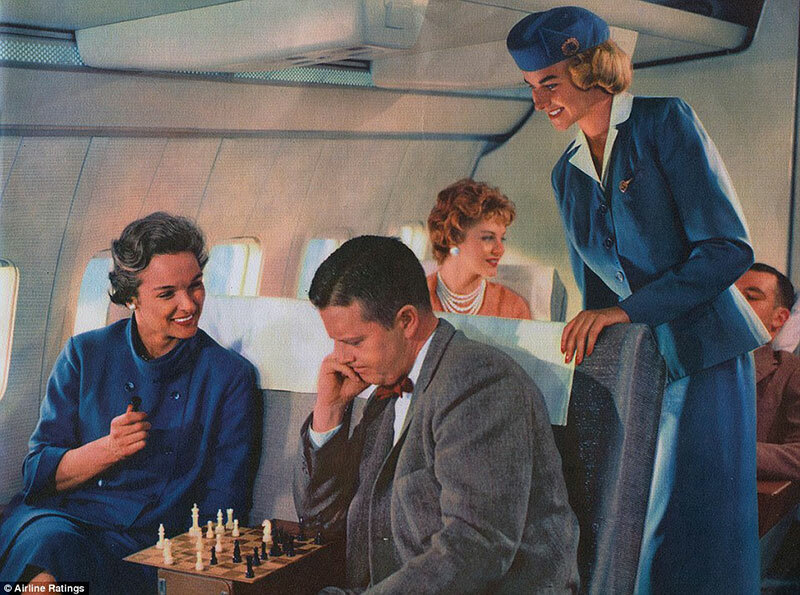 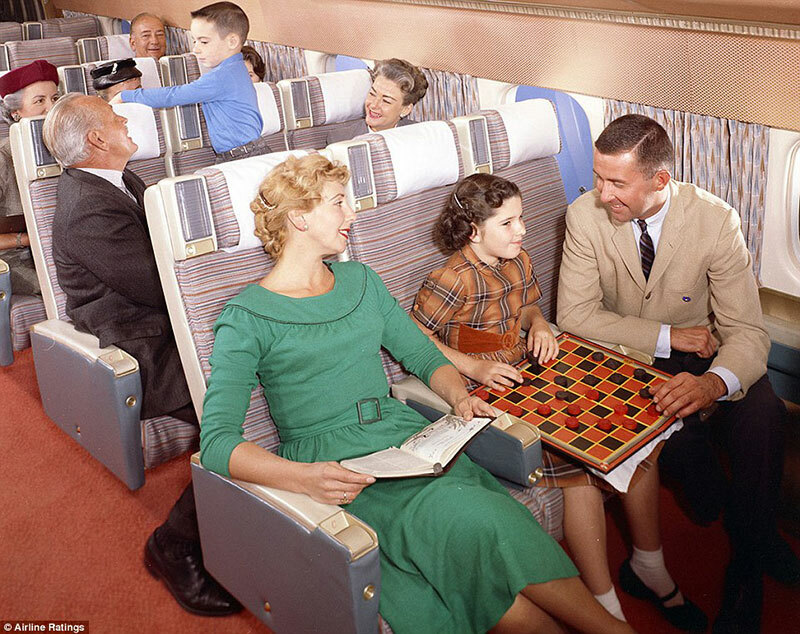 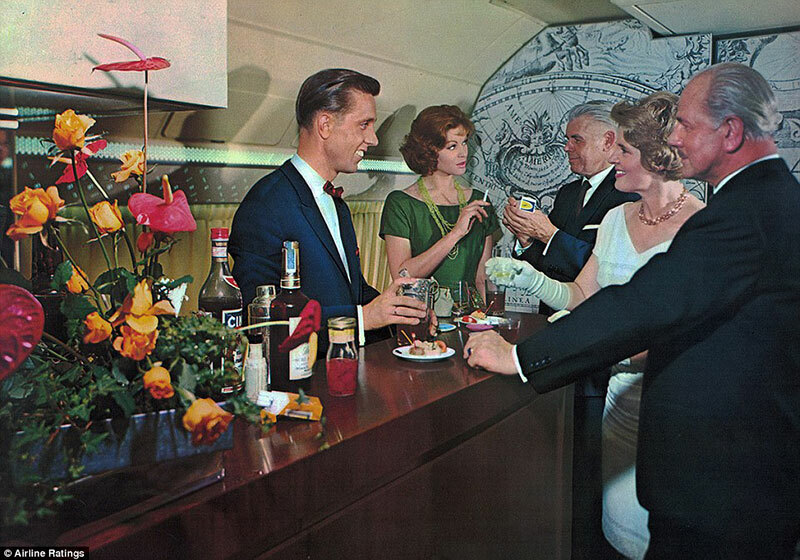 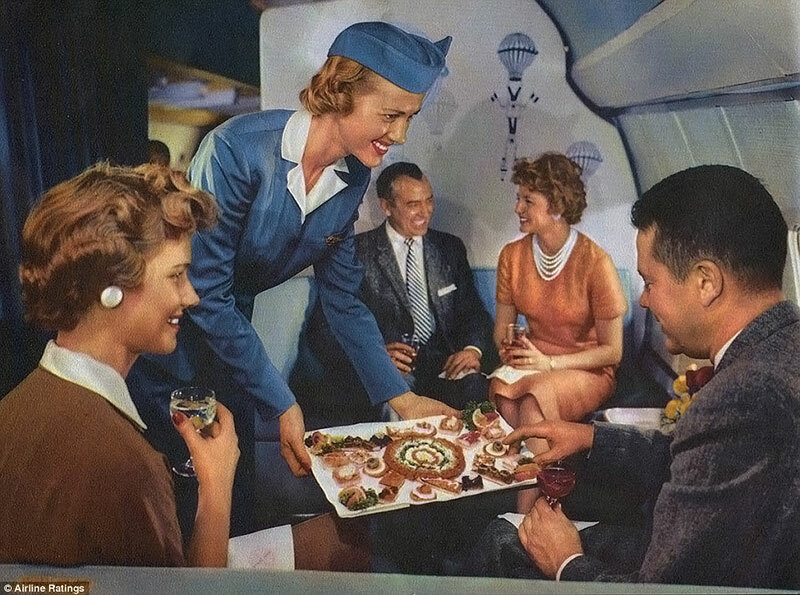 Compiled by AirlineRatings.com, the images resemble scenes from Mad Men where socializing took priority and meals were a grand affair even in economy. 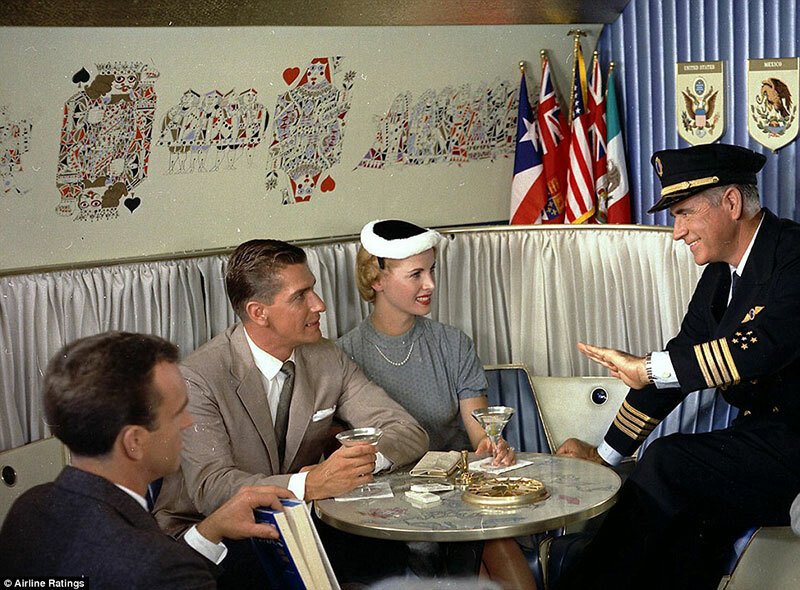 Passengers are seen enjoying drinks and smoking cigarettes at the bar, dinner was a multi-course affair served by stewards in white coats and back ties, and the captain even made the rounds to chat and calm nervous passengers. 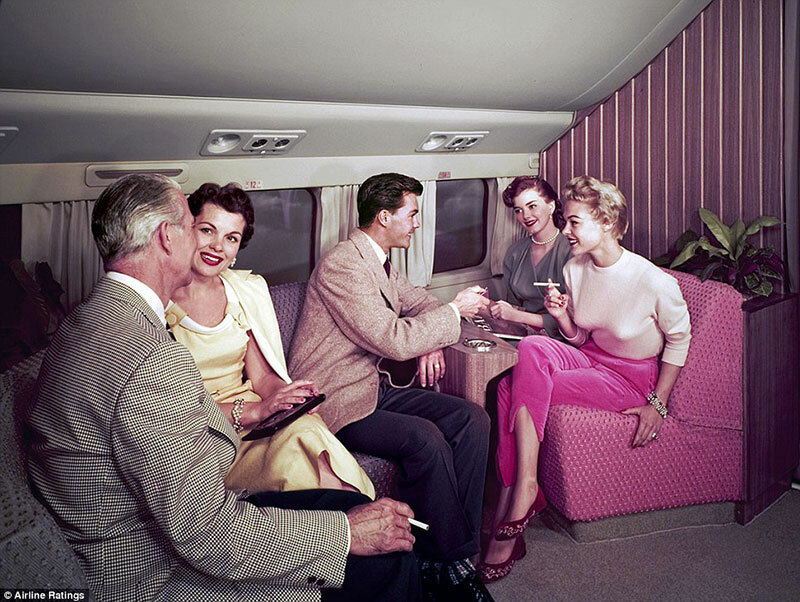 It was a period when flying had a certain glamor and allure that is sadly lacking at the present time. 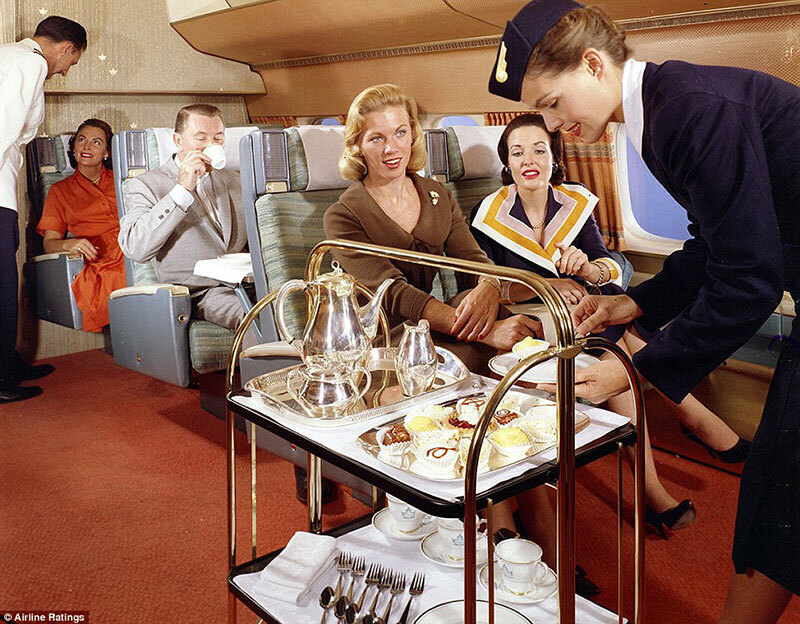 Vintage photographs shot in the 1950s and 60s that reveal the rarely seen luxuries during the Golden Age of Flying.